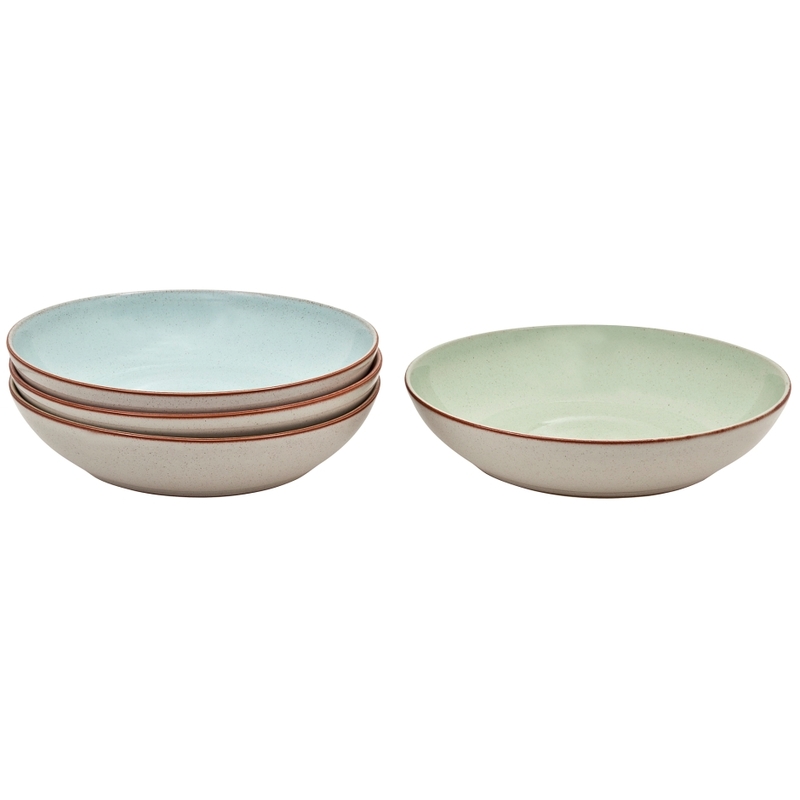 The Deli Pasta Bowl Set is the perfect size for enjoying pasta, noodles, rice as well as pies and salads. A highly versatile piece, the Pasta Bowl reflects the recent trend of eating out of Bowls instead of Plates. 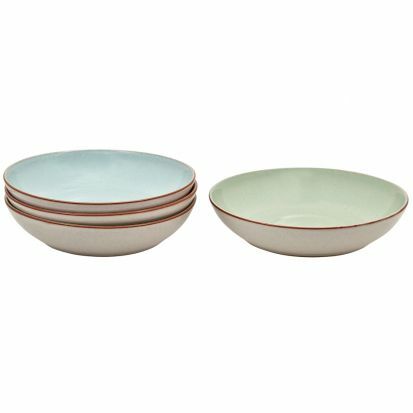 Incorporating a strong glaze and a beautiful design, the Pasta Bowl Set is suitable for everyday use as well as for special occasions. Made in England and hand-crafted by skilled artisans the Deli collection has been created in line with modern trends for relaxed informal dining, casual entertaining and the increasing demand for global food tastes. Made from stoneware using Denby's renowned iron-rich clay and crafted in Derbyshire in the same way for over 200 years, this range features a number of versatile pieces designed for modern living; a Small Bowl that can be used for dips, individual salads and sides, Pasta Bowls now are used as much as a dinner plate, and Coupe Plates in two sizes for serving. Deli is presented in gift packaging so easily pick up able and at affordable price points. Every item can be used in the oven, dishwasher, freezer and microwave.